I am playing with my new Canon Powershot sx30 IS camera. 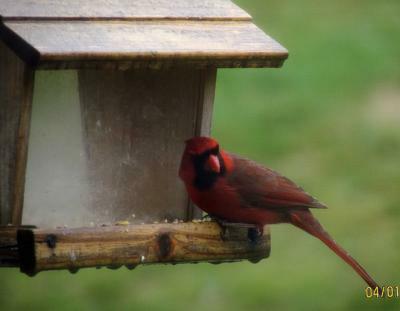 We have bird feeders in front of our rec room window and I love watching the birds eating. Because we have screens in the window I wanted to try playing with the manual focus to get rid of the screen. I hope I did ok.